For todays Elzybells Sneak Peek I am showing you a few different stamps. 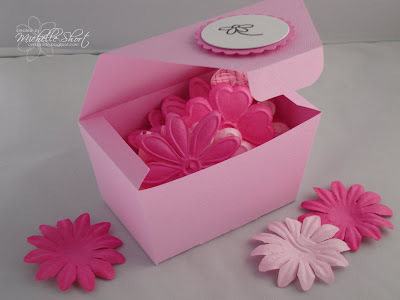 I have made a very cute box using one of Lauren Meader's My Timeless Templates, I thought it would be nice to give to a crafting friend. I have filled mine with flowers but you could fill it with all sorts! I have kept mine quite simple but you could make them a lot more decorative. I have also made a little card to match! STAMPS: Elzybells Art Stamps. INK: Memento Tuxedo Black. 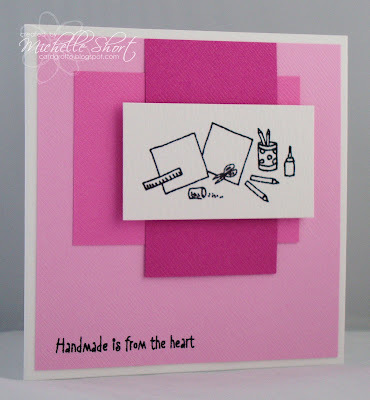 CS: Doodlebug Designs, Craftwork Cards. ACCESSORIES: Nestabilities Dies. I hope you can join me for release day tomorrow, only one more sleep to go! 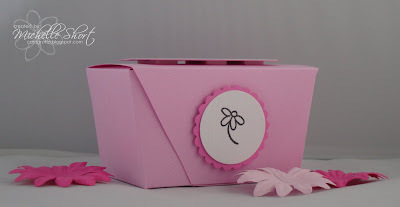 What a fab box - I really must check out these Timeless Templates. What a gorgeous gift set Michelle, beautiful colours. I'm loving these new stamos. Ohhh Michelle,what beautiful,i love the colours. Just back to say that there's a little award for you on my blog. I just love the fresh and simple style! Lovely! I find it really hard to do simple - always looks unprofessional, but you've managed to make it look great! Thx for sharing! 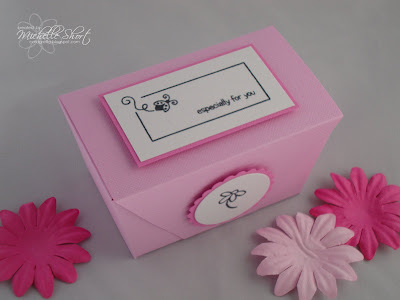 I lurve Lauren Meader, this little box is perfect for a crafters gift! Love the layout on the card real cute!